Tagged with ISANA, ISANA Australia, ISANA New Zealand. Sister organisations ISANA Australia and ISANA New Zealand both represent international education sectors experiencing significant growth underpinned by governmental policy changes. 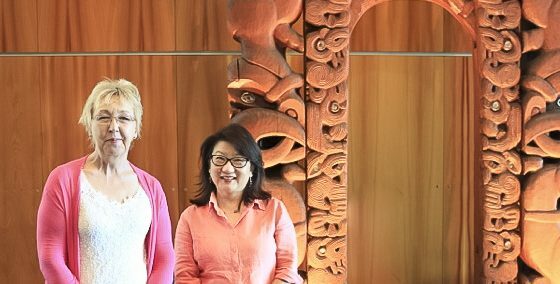 New Zealand president, Lesley McDonald, and Australian president, Mary Ann Seow, discuss their organisations’ relationship, the future of student services and international education natives. "We're the voice of the students but also the voice of the staff who work with the students"
The PIE: What is the relationship between ISANA Australia and ISANA New Zealand? MAS: Sisters. The structure is very different because New Zealand doesn’t have states and territories, they have regions so they don’t have the branches that Australia has. But the constitutions are very similar. Australia has a much bigger national council than New Zealand as we have state branch representation. In national planning days, ISANA Australia invites the New Zealand president to come over. It’s great to have New Zealand be part of our planning sessions; they’re like a voice from across the Tasman that says ‘why are you doing this?’ Then you almost have to justify it but when you do that, you do realise it’s a very good question. It’s not for any other reason than sharing information, getting a different perspective because there are similarities and there are differences. LM: There are alignments and things we do separately. I believe there are alignments in government policies that are coming through. The PIE: With those government policies, why do you think both New Zealand and Australia are now looking inward at how they can become sustainable in the future? LM: I think with the [New Zealand government] policy to increase student numbers, our international student numbers have increased and once they are here we want to retain their skills and knowledge so they don’t go off to Australia, Canada, wherever, to work. I think there’s this realisation that we’ve got these students and they’re going to be looking at what they want to do after university, so we really have to get together and think about how to support those students into work and everything else if they want them to remain. I think there is a realisation that we can’t just keep on bringing students here and not have anything to underpin their welfare now and in the future. There has to be something in place. MAS: The success of international education in both our countries is why it’s on the agenda. So why we’re talking about sustainability is because suddenly it matters, whereas before, there were other things that mattered. As the economies of China decide they are not going to use our steel or use our coal, suddenly we start to ask ‘where’s our money coming from?’ and then we start looking at the service sector. The whole reason we have been discussing sustainability is because the international education sector financially matters. You can’t just ignore it and hope that it’s like a snowball rolling down a hill that’s just going to go and get bigger and bigger and bigger. The PIE: Are you noticing a shift towards an “international education native” as an industry professional? MAS: The interesting thing with some international students, once they start, they do the volunteer work, they represent staff, and they fall in love with the sector. Increasingly, one of the things I’ve noticed, people actually do want to work in the sector. Not necessarily marketing and recruitment, but student services, etc. There’s something about being in the sector that people really, really want to engage with. If you look at the profile of staff, and I think if you look at the ISANA delegates, the length of time people work in the sector: people don’t leave the sector, they retire from it. LM: I’m quite the same, I came into it through hosting international students and you learn about them and I thought ‘why are organisations not supporting them better?’ Then I went into a student support role at a high school, and I progressed since, just wanting to help them. In the early days, about 25 years ago, there was exploitation and there just wasn’t that support there. However, nowadays we have a code of practice for international students to ensure their pastoral care needs are met. The PIE: Do you think that passion can push back against concerns of commoditisation of the sector? LM: In the past, government policy was about bringing more students here and suddenly they’ve woken up to the fact that ‘we’ve got them all here, where’s the support for those students?’ If we are wanting them to progress to internships, working and everything else, then we have to have that support when they arrive as international students so they feel they’re included in the community. The Australian and New Zealand governments are waking up to that. MAS: I think on one level it helps if you have very passionate people in the sector. We become the advocates, the liaisons, the go-betweens for the students. We’re up against challenges where mainstream communities, businesses, government policy people don’t have the experience that people who work in the sector do and are passionate about students as human beings. Therefore, when you only look at data and you put a dollar sign next to those numbers and you don’t actually talk to people involved in international education, you may lose sight of that. LM: Pastoral support is a key factor for marketing because parents overseas are not going to send their child to a country where there’s no support. If marketers have that pastoral support knowledge, they can tell it to the parents; it broadens that perspective from a marketing view. Everybody is a marketer! But you get some academics saying: ‘Education is not a business. We are not a business’. In some respects they can’t get their heads around how they are marketing on a daily basis and anything they do in their interactions with students in the classroom says something [towards marketing]. The PIE: So ISANA harnesses that passion and skills-up the sector for its continued success over the next few years? LM: And supports those students. From my point of view, I came from Scotland over 30 years ago and even though I was English speaking, I had culture shock for two years. Everyone spoke too quickly, they had their own sayings. Britain is much more formal, New Zealand is much more casual, so for me I take that with me into the role and I can understand what these kids are going through. MAS: It’s a feedback loop. We work with the students, so we know where the needs and challenges are for the students, we develop strategies and then with that information, you train and up-skill staff who come into the sector and work in the sector. The PIE: Do you think the Australia/New Zealand region will strengthen in the coming years? LM: I think so. I think also with our economic policies surrounding the specific area, we have that commonality. And then taking into account Brexit and Trump, I think we will have increased migration in both countries. We’re at a common stage. Interview really highlights the importance of groups like ISANA in advocating for needs of international students and building the professional skills of members. Well done.